Nothing can prepare you for the genius that is ‘SIX’ the musical. It empowers, exhilarates, and leaves you desperate to learn all the lyrics and sing along. Previously defined by their slightly famous royal husband, this musical written by Toby Marlow and Lucy Moss, turns this on its head, as the Ex-Wives take back their stories. Beginning as a student production from the Cambridge University, ‘SIX’ was a smash hit at Edinburgh Fringe in 2017 and has since been transformed into a professional show. It returned to this year’s Edinburgh Fringe as part of its national tour and is visiting the Lowry fresh from the West End (and soon to return). This show was a triumph of music, performance and vocals. It was impossible not to grin as these six incredible women lit up the stage, accompanied by their all-female band (ladies in waiting). The Queens announced that they were holding a competition to decide who should lead their band, the criteria: who took the most ‘BS’ from Henry himself. 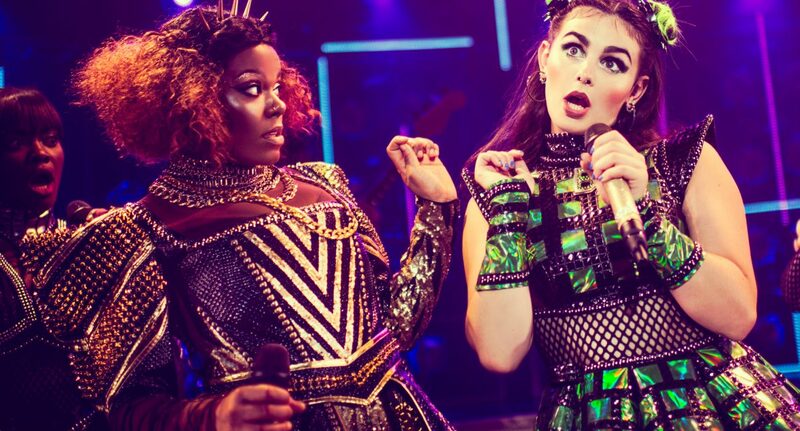 The music and lyrics of this show are both genius, retelling the story of these six women with history, pop, and 21st Century references. The Queens were all incredible: Anne Boleyn (Millie O’Connell), Jane Seymour (Natalie Paris) Haus of Holbein, where Anna of Cleves (Alexia McIntosh), Katherine Howard (Aimie Atkinson) and Catherine Parr (Maiya Quansah-Breed); both as individual soloists and as an ensemble, belting out mind-blowing six-part harmonies. 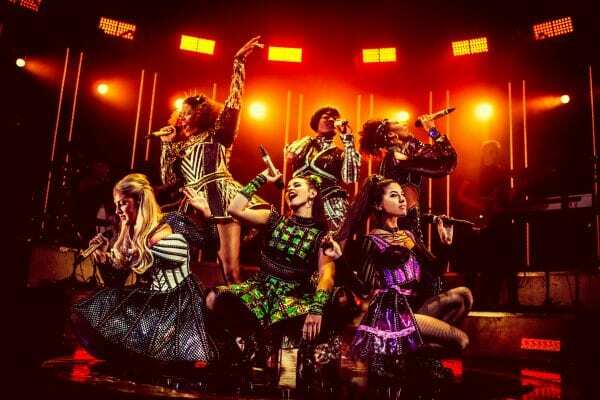 Having seen the original at fringe last year, the reimagining of the show elevated it without losing its original magic, really showcases some seriously incredible vocals, girl power and more. The direction by Lucy Moss and Jamie Armitage was excellent, the concert style kept the audience always involved in the performance relating to every age. It was incredible to experience a show that is camp, crazy and a total party and still manages to tackle the silencing of women throughout history, up to the present. As the show progressed, the Queens appeared to make light of stories of exploitation, betrayal and beheadings, all to win a competition. This was done in style with songs such as ‘Haus of Holbein’, complete with ultra violet light and neck ruffs and ‘All You Wanna Do’, personifying pop princess. The Queens and the audience were left slightly sobered, when the final queen Catherine Parr (Quansah-Breed) reminded us all in ‘I Don’t Need Your Love’ that we are not defined by men. This message was one not only to women, but to all those oppressed and silenced. It was so powerful watch the Queens step away from competing and comparing and instead take back the power to re write history. I won’t compare the queens either – each was unique, badass and inspiring. The show was not only exciting and extremely funny, but educational, not just about history. You cannot help but leave ‘SIX’ elated, impressed and singing one or more of the wonderful songs. Find the ‘SIX’ studio album on spotify, listen, sing, get obsessed because this herstory lesson is not to be missed and remember, there is nothing better than seeing them ‘Divorced, Beheaded, LIVE’!